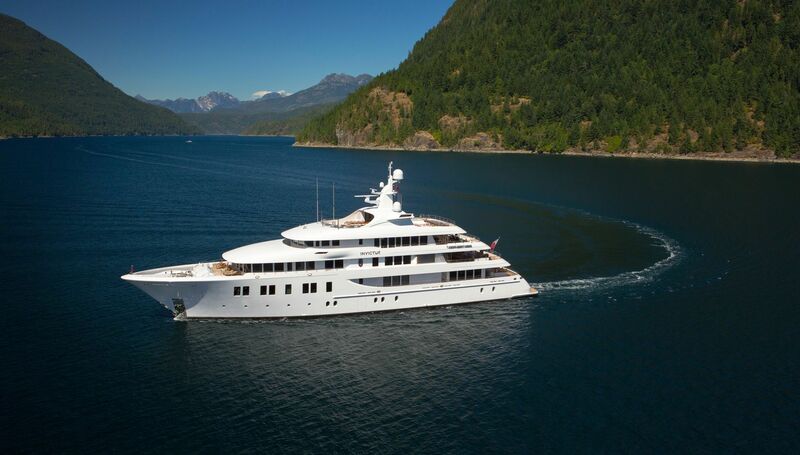 A recent addition to the charter market, LAUREL is perfectly laid out and equipped to ensure that her charter guests cruise in the utmost comfort. 2 x waverunners, 4 x two man sea kayaks, 3 x Sea-Doo sea scooters, 2 x stand up paddleboards, wake boards, waterskis, sea fishing tackle, snorkeling equipment, inflatable tubes & donuts, diving board, Tarzan swing Local guide may be required at the expense of the charterer. Comprehensive audio-visual systems, library also serving as cinema, karaoke, satellite television. Satcom & cellular communications facilities, Wi-Fi internet access, VSAT, GSM, VOIP.